Javier has always had an active lifestyle. As a youth he played football, tennis and regularly took part in swimming but dance was his real passion. Javier received a scholarship to study at Canada’s prestigious National Ballet School and later moved to Glasgow with his family, where he received a BA in Modern Ballet from The Royal Conservatoire of Scotland. Javier’s training as a ballet dancer has been the foundation for his exploration into movement and general fitness, specifically gaining an interest in Callisthenics and Olympic Lifting. 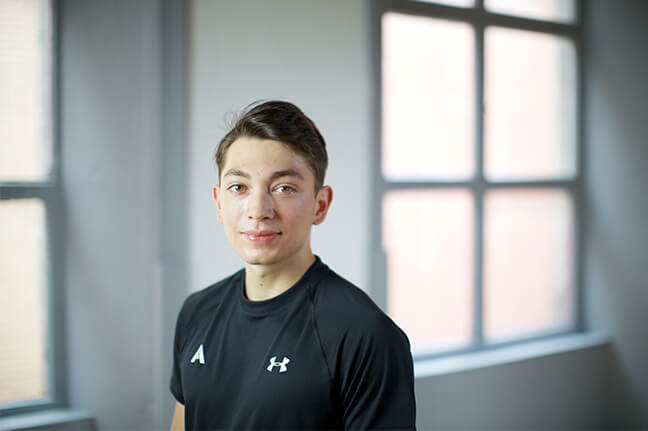 As a Personal Trainer, Javier’s sessions target strength, flexibility, functional range of movement and the ability to gain a deeper understanding into the skill of quality movement patterns. Training with Javier ensures that clients challenge their limitations and become the best version of themselves.